This short, calming flow will ease you into a relaxed state, helping you become physically and mentally prepared for a great night sleep! 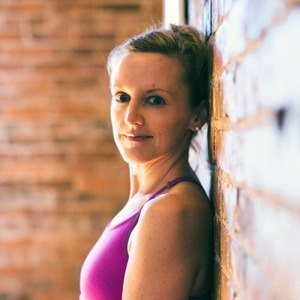 Robin is a certified yoga instructor and avid acroyoga teacher based in Seattle, WA. She discovered early in her practice that breath with body movement can release the stresses of daily life, and deeply weaves them into her classes. Her use of creative, alignment-based sequencing provides a safe space for her students to let go of the outside world and heal the body from the inside out. You can find her teaching locally in Seattle as well as leading retreats and workshops across the country and internationally.